At a critical juncture during brain surgery, Alex Dixon, age 12, had a stroke . 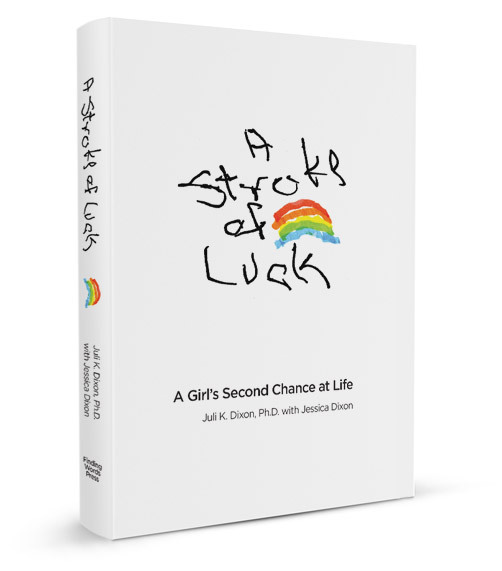 . . Alex was a normal, bright, and healthy little girl, when the sudden onset of a mysterious illness began to take over her life. Months of physical therapy and medication failed to provide relief from acute pain and muscle spasms. Doctors across the country were at a loss for answers. A last ditch attempt at treatment—brain surgery—ended up stopping the spasms but with unexpected consequences. M om was on a work trip then the next thing you know Alex is picked up by Grandma to go fly to a hospital then to my shock they are back the next day. Right after that Alex is stolen from me again. I just watch Alex and Dad pack the car feeling left out. I wish I could go too but what help would me going be? Alex is always kind of sad nowadays. It is like she gave up on life. Yet, my brave older sister still puts on a mask to hide the pain around me. She pretends it is all good and sits down to play dolls with me. Dolls were almost all we played once her illness started since she could no longer play outside. Still I can see through it. Most of all I can see it in her eyes. Her eyes are always sad now. They are missing that familiar twinkle of heart and happiness.